Love this (successful) idea of sort of spreading and then handing over power. In the nonprofits I work with, the founder is so passionate about the idea and the organization that he or she often hoards power. In so doing, the power disappears and the organization fails. Those that survive have found a way to let people in and allow the organization to go in a direction that might make a founder– with the laser focus often required– uncomfortable. another fantastic blog from Steve, bravo! Thanks for this article! It’s helpful as I am weighing recruiting a cofounder. Don’t make mistakes surrounding yourself with the wrong people. Great blog. My favorite saying is: there are no good ideas, there is only good execution. for a start-up. Solo is best. Thanks for sharing, Steve. I think so many of us miss the web startup team dynamic: hacker, a hustler, and a designer. Great foundational advice. I need to recruit a designer quick! What I find interesting from this post is the emphasis (through the separation into a different section) of the Founding CEO. But thinking through, I complete agree. Ultimately, every ship needs a captain, not just a a talented crew. And thank you for reminding about “reality distortion field”. Thanks Steve, your posts always provide great general picture in an otherwise very noisy and chaotic start-up environment. Excellent and timely information. Often times as the CEO, Founder, and champion in my business I often hear insults such as, unfocused, complicated, over analyzer when attracting individuals to the model. Having looked at it (for more than a year now), and having made big changes… I realize… that most could not do what I do… and yet I am succeeding… your article speaks to the characteristics needed and is affirming for my belief as I continue on this path. Thank you for the reality check! Good post, in my opinion the founder has the vision and the why. 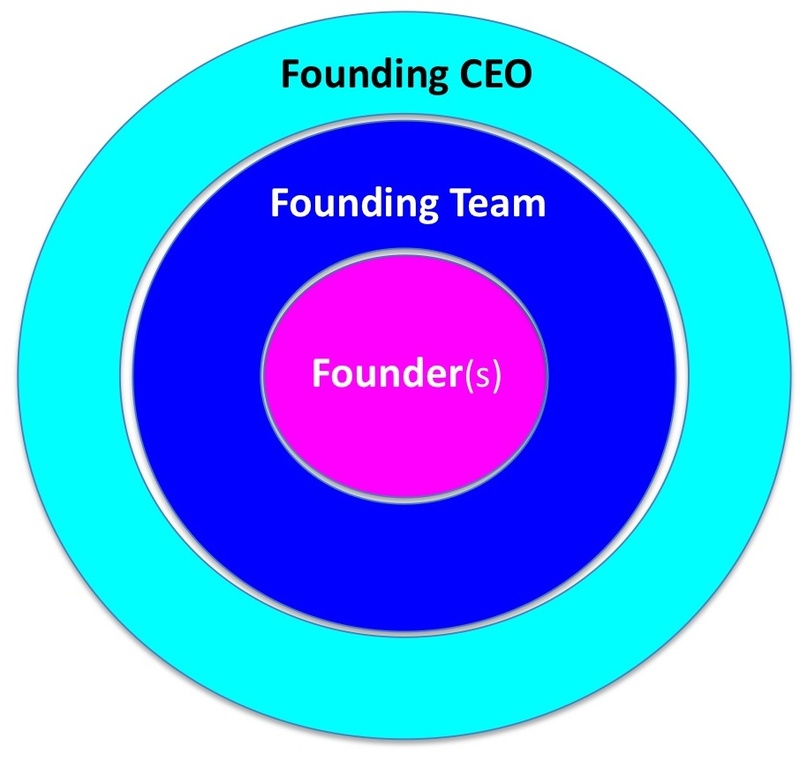 While the founding CEO might have the how, and the founding team does the what. ‘Do we have a company without them?’ is in my POV, the key question here. If you’re experienced professional, it’s so easy to convince yourself that you have, that your programming experience turns you into an hacker. But reality is that you don’t! ask yourself what is your strongest skill that is relevant for this startup. This is your function in the founding team.